Plastic Mason Jars are a classic item for serving drinks in amusement parks, restaurants, and all kinds of recreational destinations. They are especially loved as a souvenir cup for lasting in-home advertising! Serving a specialty drink in a Mason Jar is a great way to promote your drink and increase sales. Major selling point: they are kid-friendly! 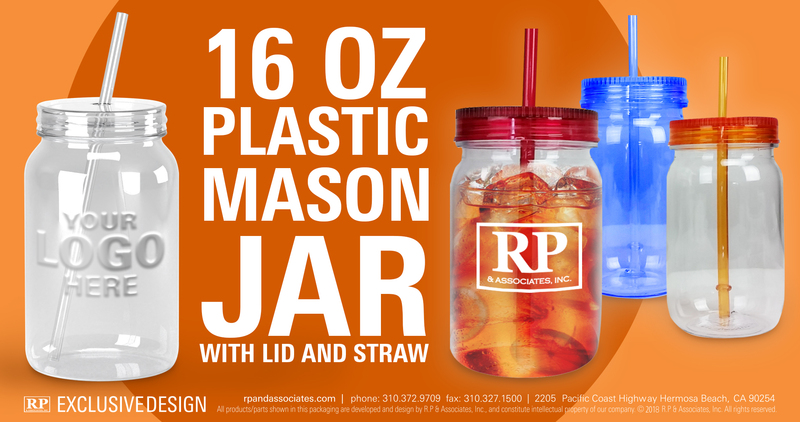 Our Plastic Mason Jars are made of high quality plastic that is designed to resemble glass. They include a lid and straw, with the additional option of custom branding with your logo!